The Thousand Islanders Lady Barbershoppers became a chartered chapter of Harmony Inc. in May of 1973. 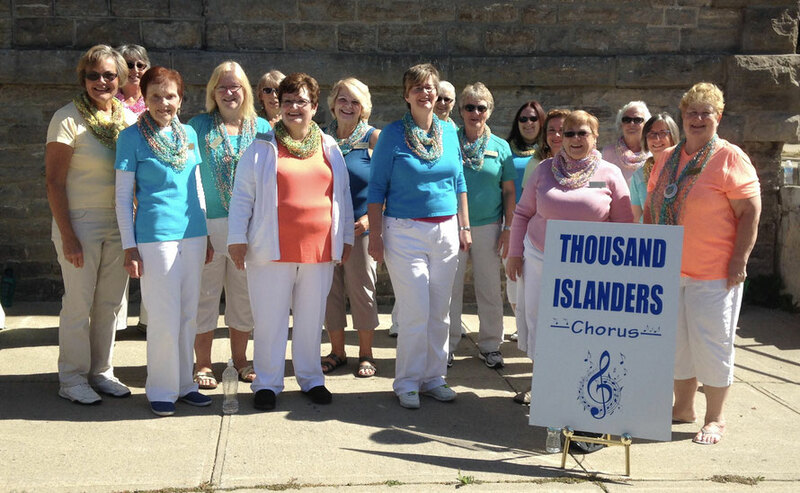 In 2005 we became incorporated as The Thousand Islanders Chorus. Directors over the years have included Diane Ball, Lillius Lippert, Dave Carr, Cally Tripp, Jane Dargie, Ann Foy and BJ Vermue. We welcomed Stuart MacMartin as our Director in June 2014. Our repertoire ranges from ballads to uptunes, spirituals, Christmas carols and songs, Broadway, country. Our songs include such favourites as Any Man of Mine, All The Way, Spiritual Medley and Happy Together. We share our love of music by singing for seniors in care facilities, for festivals and summertime concerts along the St. Lawrence River, for church and community celebrations and by Christmas caroling while strolling Downtown Brockville. We compete in Harmony Inc.'s Area 5 contest in May. 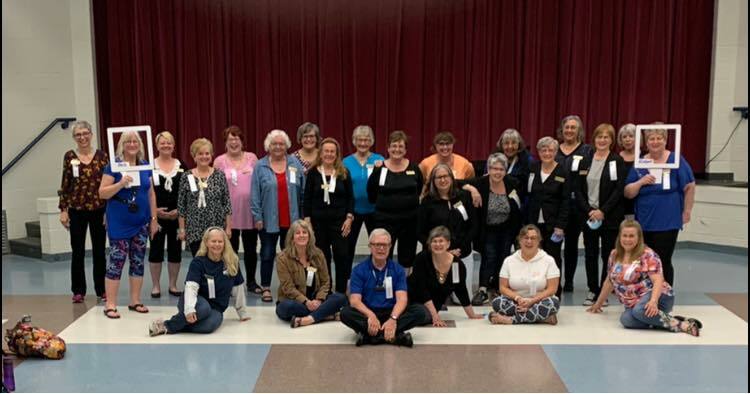 From the chorus, quartets and small groups are formed to sing for Valentine’s Day, birthdays, anniversaries as well as for CPHC luncheons for seniors. We welcome all inquiries for performing in our community and beyond. Every year the Chorus makes endeavours to enrich the lives of children with autism. In 2016 we made a donation to Thousand Islanders Secondary School. During the presentation, we sang for the students much to their (and our) delight!